I absolutely hate ironing, but appreciate what it does for me. The processing really adds a bit extra, "beauty in the everyday". Life through the eyes of a drunk housewife...great tones. Looks like a LB pinhole shot. Am weirdly drawn it but not sure why? This is how my wife starts to feel when she needs to iron something...a little woozy and things start to get blurry so I end up doing the ironing, otherwise she burns her close. I like the tone and tilt. I'm liking the tilt on this one. Adds a little something. Pretty cool. I would also like to see what it looked like without the added blur. 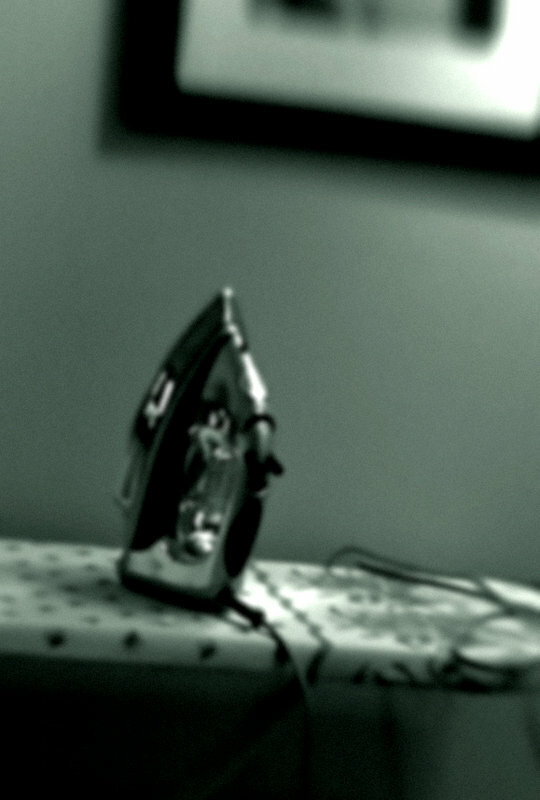 Is that a reflection of you on the iron? That kinda makes the shot for me. So that's what an iron looks like! I love irons. What did it look like without the added blur? Proudly hosted by Sargasso Networks. Current Server Time: 04/21/2019 12:06:17 PM EDT.